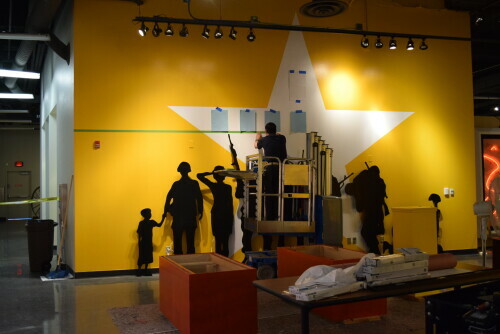 Construction of the Sixth Wall of Giants in 2015. 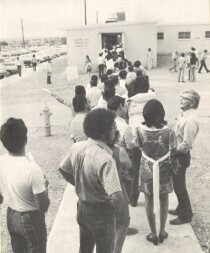 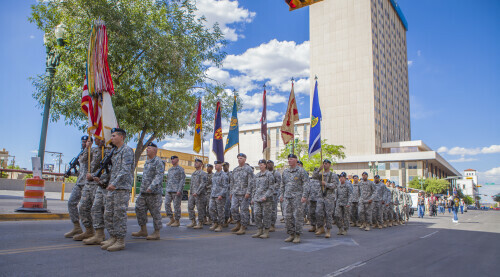 On opening day of the The Sixth Wall of Giants exhibition, the El Paso chapter of the Vietnam Veterans of America march in the parade. 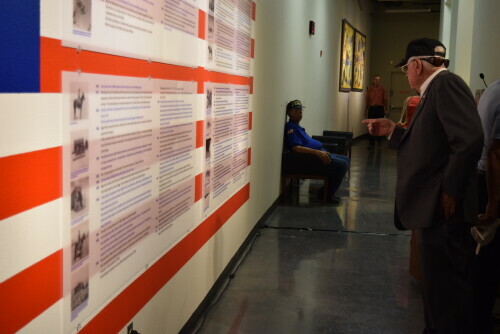 Opening of the Sixth Wall of Giants at the El Paso Museum of History on May 2, 2015. 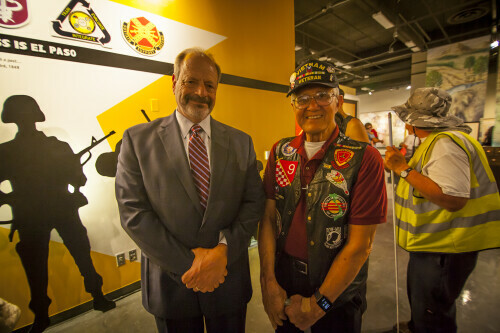 Mayor Oscar Leeser standing with a Veteran at the opening of the Sixth Wall of Giants at EL Paso Museum of History. 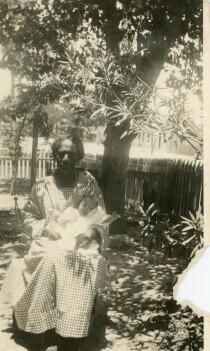 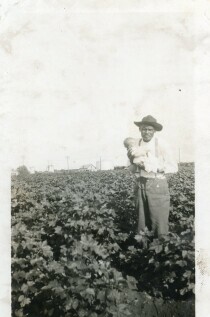 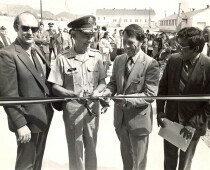 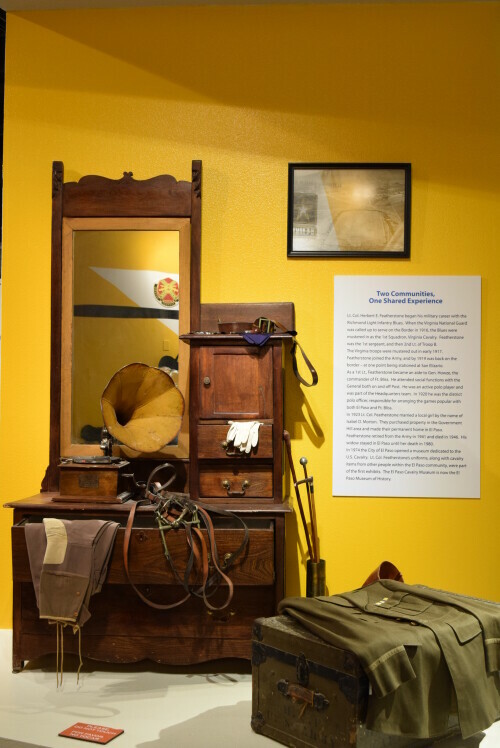 Photo contains a collection of Lt. Col. Herbert E. Featherstone whose collection of uniforms became the foundations of the El Paso Museum of History. 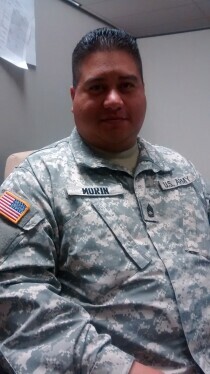 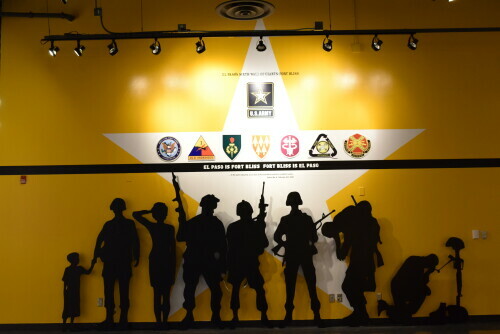 Fort Bliss Exhibit at the El Paso Museum of History in 2015. 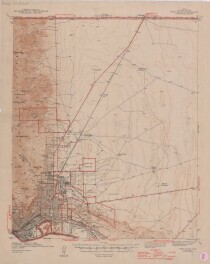 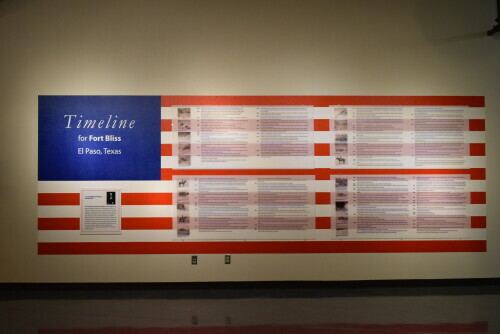 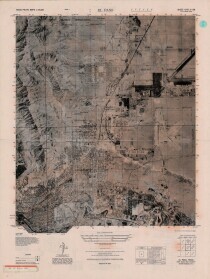 Timeline of Fort Bliss in El Paso, Texas at Sixth Wall of Giants exhibit the El Paso Museum of History in 2015. 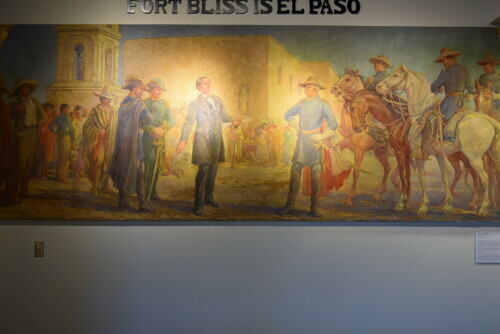 Photo is of the mural by T. (Trygve) J. Kittlesen made for the second El Paso County Courthouse. 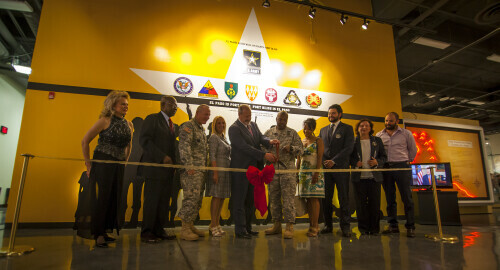 Fort Bliss Exhibit at the El Paso Museum of History in 2015.